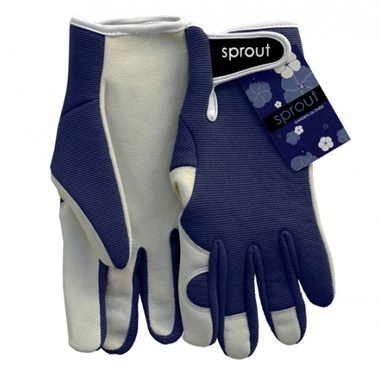 Let your hands stand out in the garden with Annabel Trends Sprout Goatskin Gloves. Made purely from all-natural goatskin, the Sprout Goatskin Glove is soft, smooth and great for sensitive hands. Feeling almost like they are barely there, the Sprout Goatskin Gloves are super durable to provide great protection against common scratches and cuts. Handle your garden with a fresh, new style with the Sprout Goatskin Gloves from Annabel Trends.